Tour detail- We will start the tour with jeep ride to desert, visiting monuments and villages on the way. Jeep will drop us on a camel pick-up point and we will have camel ride to go to our Sunset point. After watching a beautiful sunset over the sand dunes, we will have dinner at desert camp & enjoy the cultural program and return to hotel by Jeep. * The tour could also be organised without camel safari and you visit the sunset point by Jeep directly. Tour detail - Jeep tour through villages and Jain Temple. Kuldra abandoned city, then afternoon Camel Ride to sunset view point. Dinner over campfire, with Rajasthani Folk Music & Dance. 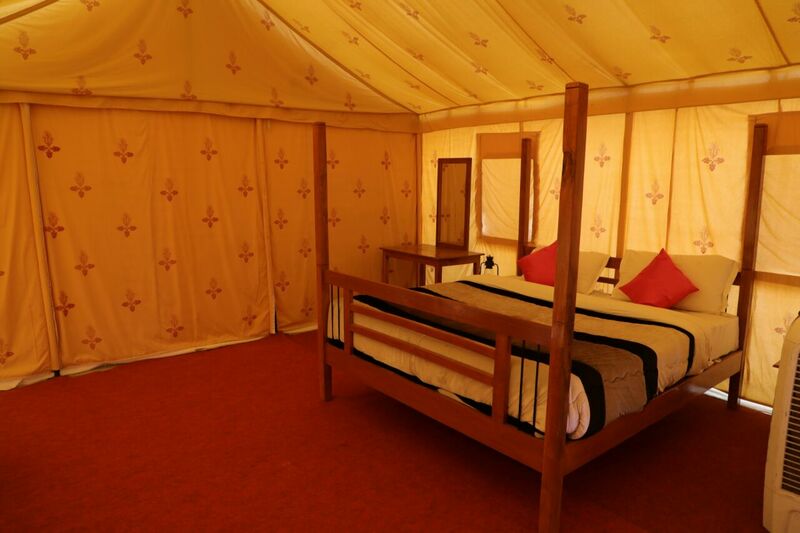 Then sleeping in tents at Sam sand dunes. Morning Breakfast and then back to city by Jeep. 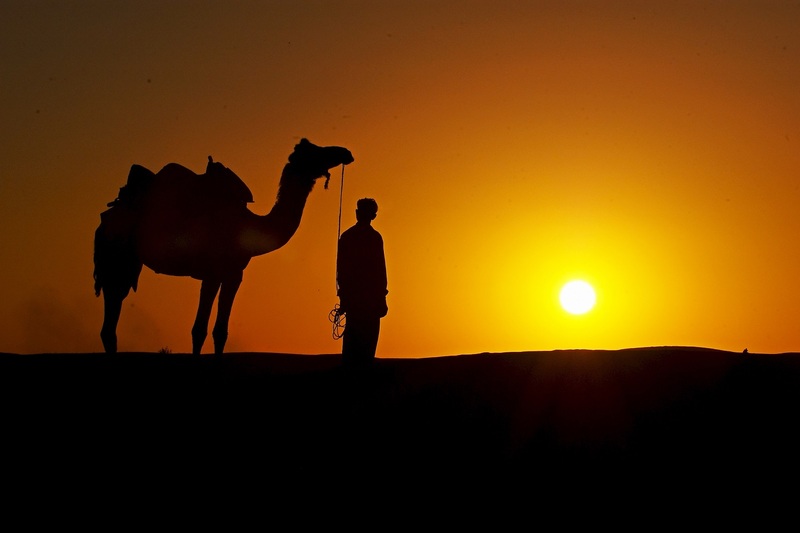 **Apart from these typical camel safari tours, we can organise camel safaris according to your wish, depending on your available time and your desire to go deep in the desert. We will discuss price depending on the design of the tour, on your arrival.